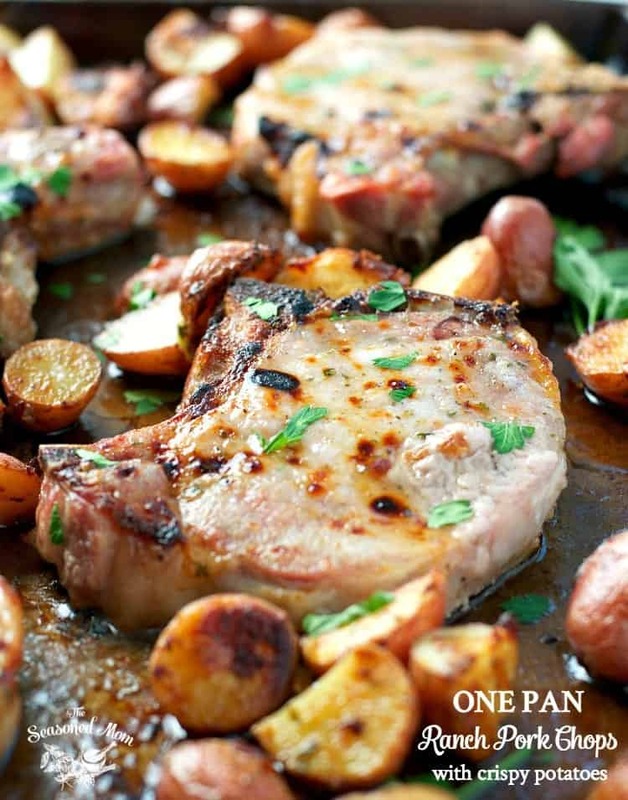 A simple one pan dinner made with juicy pork chops and crispy potatoes. 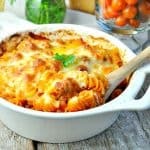 It's easy, comforting and delicious! 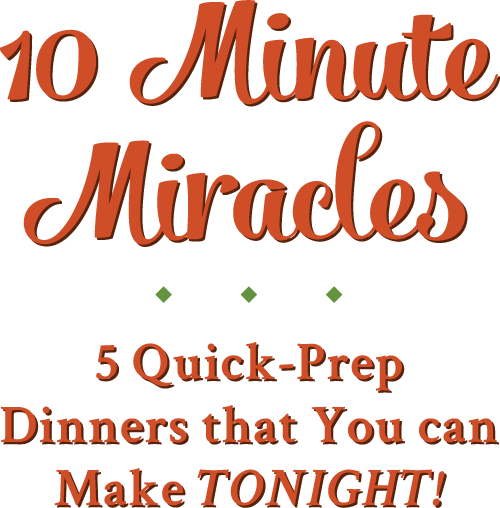 Easy dinner alert! You only need 10 minutes of prep for these One Pan Ranch Pork Chops and Crispy Potatoes — a Sheet Pan Supper for busy nights that’s comforting, easy and delicious! These ranch pork chops are made for busy weeknights. When you’ve been running around like crazy or had a really hectic day, everyone’s hungry and you just want a comforting meal on the table fast. 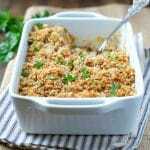 The thing is you can have a comforting meal with very little prep, loads of flavor and yes everyone will love it too. This simple one pan meal is here to save the day (or dinner). How simple are the ingredients here? The thing I love about it is that it’s not going to break the bank either it’s just homely comforting food at it’s best. With just 10 minutes of prep, dinner comes together on one tray and results in the most delicious juicy and tender ranch pork chops with crispy potatoes. I might not be able to check off everything on my massive to-do list, but I end the day around the table with my family — feeling accomplished, nourished, and full of love. A homemade dinner might not be everything, but tonight it’s more than enough. I hope that you’ll show yourself some grace, bake some pork chops, and enjoy the smiles around your table as well. PS – It’s fine to tell your kids that it’s chicken, if that convinces them to eat it. Works like a charm with my two-year-old! Cooking for Only Two? I purchase these thick-cut pork chops in packages of two at the grocery store, so this is a very easy recipe to just cut in half. Save the other half of the ranch seasoning mix for the next time! Preheat oven to 400F (200C). Line a large, rimmed baking sheet with foil (for easy clean up) and spray with cooking spray. In a small bowl, whisk together olive oil, butter, garlic and ranch seasoning. Place potatoes in a single layer on the baking sheet and drizzle with about half of the oil mixture. Toss to coat. Place in the oven for 15 minutes to give the potatoes a head start in the cooking. 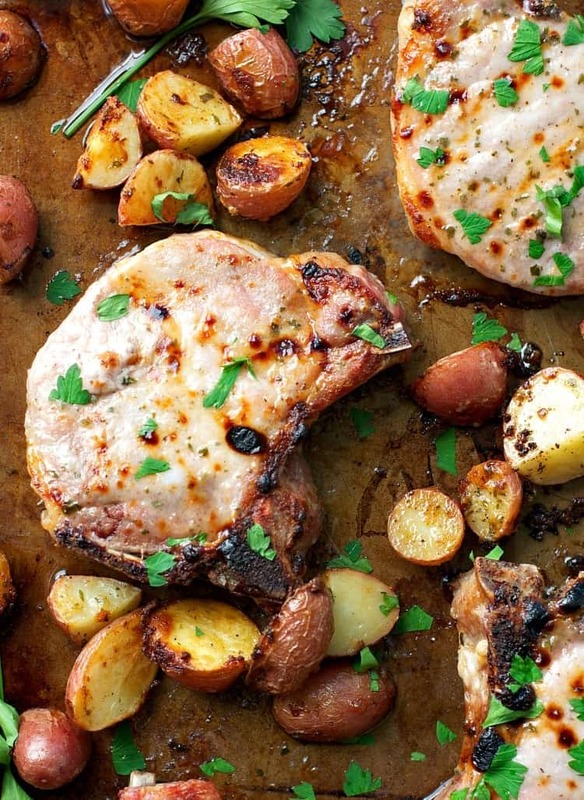 Remove potatoes from the oven and place pork chops on the baking sheet with the potatoes. Brush pork chops with remaining oil mixture and place baking sheet back in the oven to cook for an additional 10-15 minutes, or until pork is golden and cooked through. For a crispy, charred finish place the sheet pan under the broiler for 2-3 more minutes. I love that you’re focusing on what you get to do, instead of what needs to get done. That definitely helps a lot! And so do one pan meals! 🙂 These pork chops looks perfect! 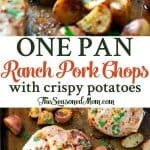 My husband always wants pork chops, so I need to try this! Thank you, Gayle! 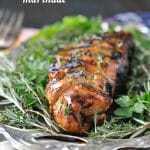 My husband loves pork chops too, so I’m always trying to figure out how to cook them! I LOVE this post! It’s exactly what I needed to hear today. Thank you Blair for putting those words on paper … hmm I meant screen 😉 I woke up this morning and came to work and I was just thinking about GRACE! Just like you said, we need to stop focusing on all things that needs to be done and just enjoy in moments, enjoy in things we do NOW with people we love and care, or things we do for them or for ourselves 🙂 This dinner sounds perfect for busy weekdays. It sure looks fantastic 🙂 Sharing this! Have a lovely weekend Blair. Thank you, Natalie! I’m so glad that it spoke to you today! I hope that you have a wonderful weekend! pork chops are so good and quick! love this one pan dish. And ranch, always. p.s love the new logo! Thanks, Lindsay! I’m loving the new site too. A refresher is ALWAYS a great way to motivate again! The touch of finishing the chops under the broiler is sheer brilliance. I can practically hear the sizzle as they come out of the oven. I love this idea of grace. It’s something I’m constantly working on in my life. Our job as mothers is the most incredible thing in the world and sometimes we miss it because we’re so worried about the details. Our to-do list will never be finished. That’s OK. We only have our precious kids for a short time, so enjoy them and enjoy being in the moment. Thanks for sharing. Thanks so much, Treasure! I’m glad that I’m not the only one who’s feeling like that right now. It’s something that I struggle to be aware of constantly, but it’s not easy! Where does the minced garlic come in? Do we put it in the oil mixture? Hi, Mary Jean! Thank you for catching that! Yes — the garlic gets mixed with the oil. I’m updating the recipe now. 🙂 Thanks again! Love the new look, logo AND your beautifully written post. Such a great reminder (especially around Thanksgiving) that despite the chaos of life, we have so much to be thankful for and we’d better embrace it while we can. Thank you, thank you, Robyn! I’m Thankful for YOU as a friend, support, reader, and colleague! I rarely make pork as I tend to be a bit so-so about it – but this looks SOOOOOOOO good! You are the queen of delicious dinners! 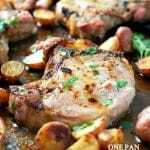 Can you use boneless pork chops? Hey the only ranch seasoning I can find is a dry dip mix. Will this work? Yes! That’s perfect — exactly what you need! Okay thank you. Haha I spent like 10 mins in front of the spices at my grocery store and could not find any ranch spice. I’ve made it before with Italian seasoning last week and it came out perfect. I’m excited to try with the ranch. Do you think this could be made in a cast iron pan? I was thinking of searing the chops and spuds, then throwing it in the oven. Hi, Allison! Nope, no cheese in the recipe. 🙂 I think what you’re seeing is the crispy top of the pork chops where I put them under the broiler for a few minutes at the end. The butter kind of caramelizes and gets a little charred. So good! This was so good and so easy to make! My husband and I really enjoyed this! Just wondering what would change if I didn’t do the broiler part? Would it still be ok? Hi Blair! Wonderfully quick and I’m sure delicious pork chops. Its dinner tonight. As I’m recently retired, your great site has become my “go to” as I seem to be busier than ever now and looking for easy and quick meals. I appreciate your recipes and positive energy and outlook on life and enjoy seeing the fun you have with your beautiful family. Bless you all and “Thank you”. Hi, Bonnie! You totally made my day! My goal is to share easy, quick-prep recipes that fit into busy lives — whether you’re enjoying retirement or juggling a young family. 🙂 Thanks so much for reading along with our adventures! So I made this and the ranch ‘sauce’ chunked up, it was very hard to spread. Any advice? New at cooking. By His grace, my 2, 25 year old sons have dinner with us every Wednesday night. LOVE! 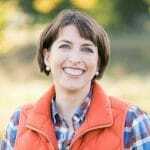 I’ve stumbled across your website and will make the Ranch Pork Chop dinner this week! It looks healthy and delish. Thank you for your sweet thoughts about focusing on your day. You are right. It’s the small things that make the greatest impact. Hi, Gigi! That’s wonderful! I hope that my sons will continue to join us for weekly dinners when they’re that age as well. 🙂 Enjoy! I am currently typing this as I wait for the potatoes to get a head start and the kitchen smells delicious. I didn’t even realize until just now that this is the second recipe of yours I’m making this week! I made your aloha chicken bake yesterday and it was delicious! You’re speaking my language with these recipes, thank you so much! Life does have a tendency to get extremely busy and distracting from some of the best moments. 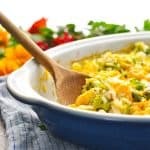 It’s recipes like these that make it possible some days to put a wonderful meal on the table for family to enjoy together. I’m always on the look out for recipes that make life simple. Thank you for sharing this, and all of your other recipes too! I have been really enjoying your blog. I like this idea and I’m in the middle of cooking it. The pork chops have already surpassed the recommended cooking time and have a ways to go. They are also releasing a lot of juices which I fear now are going to make the potatoes soggy instead of that delicious crispy-ness that happens in the oven! It looks like there’s cheese on top of the chops. What am I seeing if it’s not cheese? Hey, Leah! No, I didn’t use cheese on the pork chops, although a sprinkling of Parmesan on top would be a great idea! My mouth is watering as I make this meal!! We are on the process of moving, so I had very few ingredients with the things we brought along to the new place. It smells soooo good in the oven and has all the stuff we as a family enjoy to eat! Thank you! Can’t wait to DIG IN! !